We’re so excited to feature our lovely Strut Bride, Brenna! Brenna shopped our Tempe store in January of 2018. She told us she was looking for the perfect plus size wedding dress to go with her lumberjack chic Arizona wedding theme! Later, she explained that she and her fiance were looking to incorporate their love of camping in their wedding. How cute is that?! Gold wedding dress with straps. 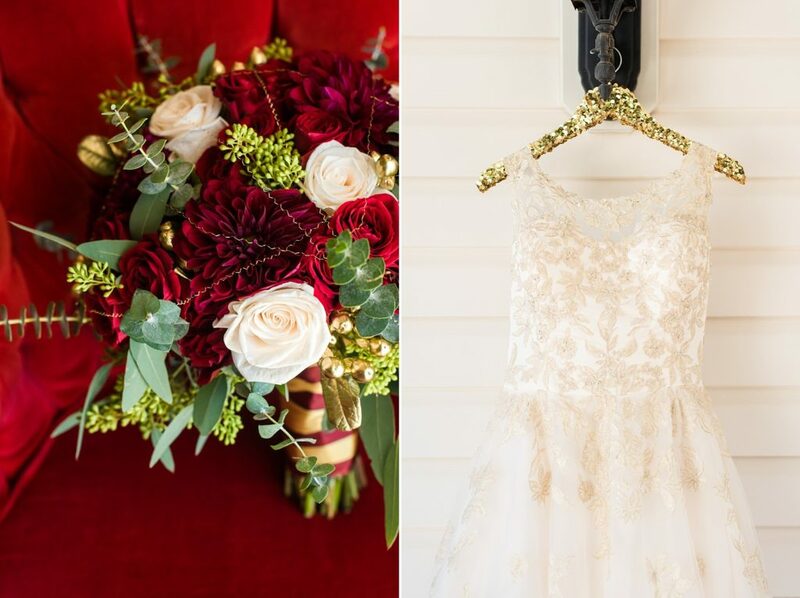 Red and gold wedding details! 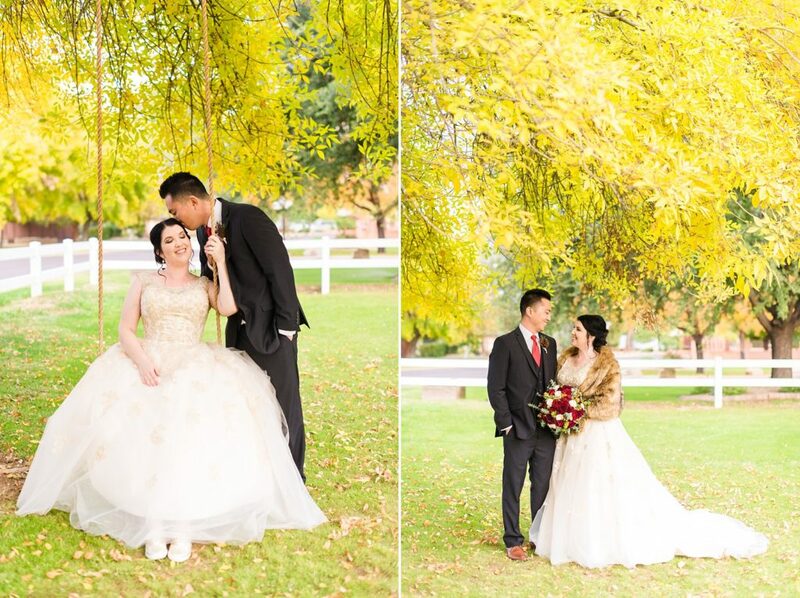 Brenna’s wedding gown featured lovely metallic lace in gold on top of layers of romantic tulle. It also features a demure illusion neckline with lovely tank straps for added comfort and support. We’re in love with that glitter hanger! 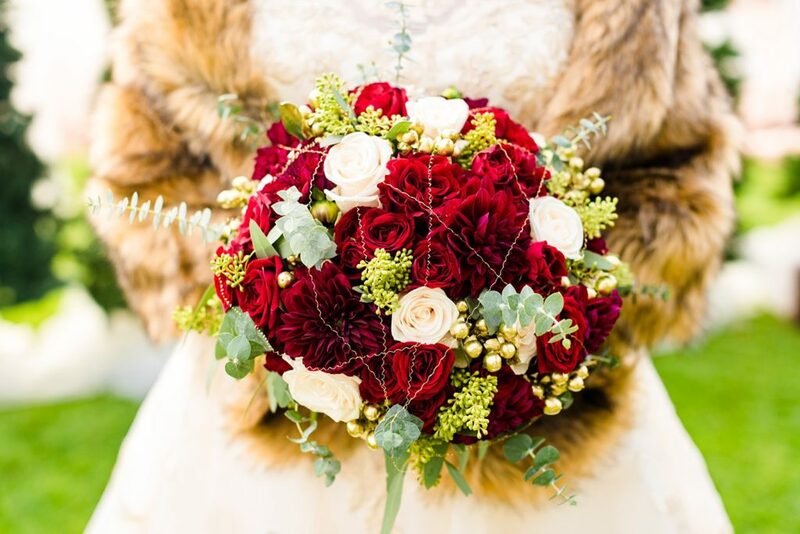 These incredible wedding photos are by Kaila Cales Photography. She loves Target and Kate Spade, so we’re pretty much already in love with her! Brenna’s gold wedding gown also featured a lace up back. 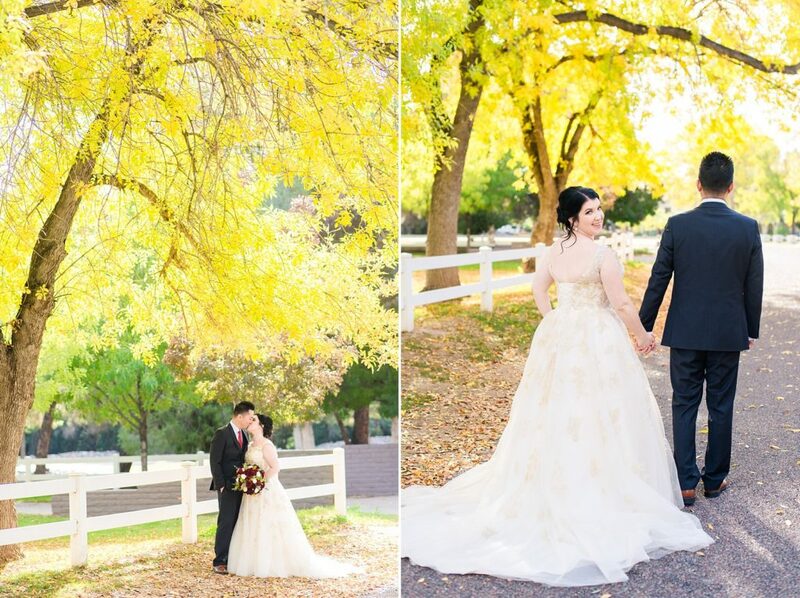 We love how the gold appliques on her dress pop against the woodsy background. How great is all of Brenna’s decor?! 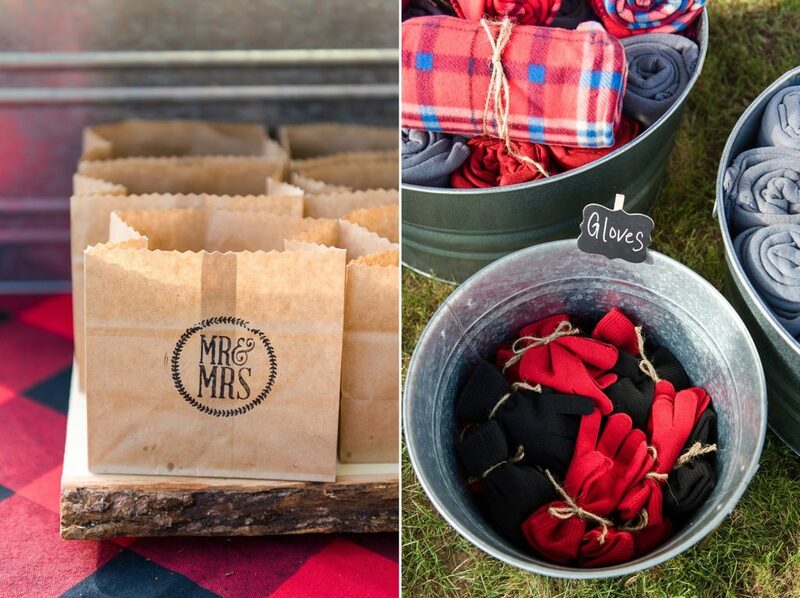 It definitely makes us think “lumberjack chic wedding!” Brenna let us know that she was planning on having red and black buffalo plaid accents. 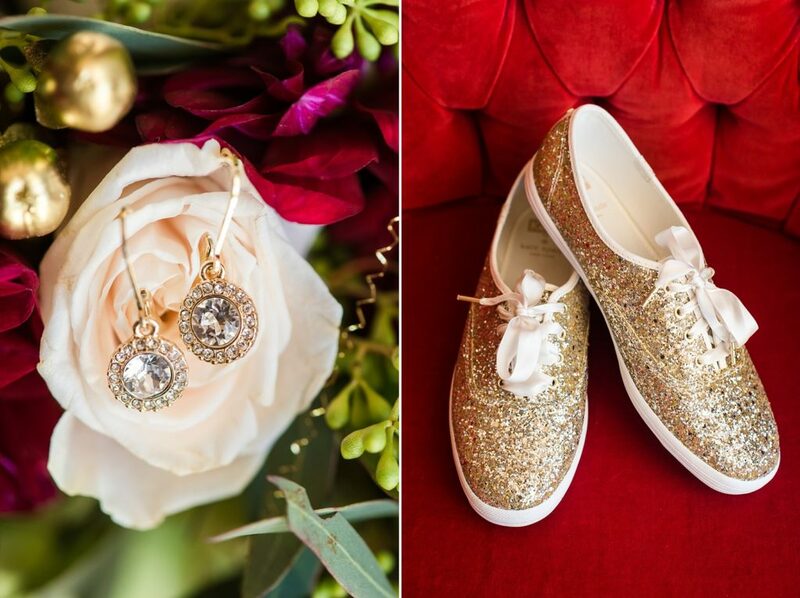 She said she would also be adding pops of gold, pine, and natural wood to really bring the forest to her wedding. We think she did a wonderful job! 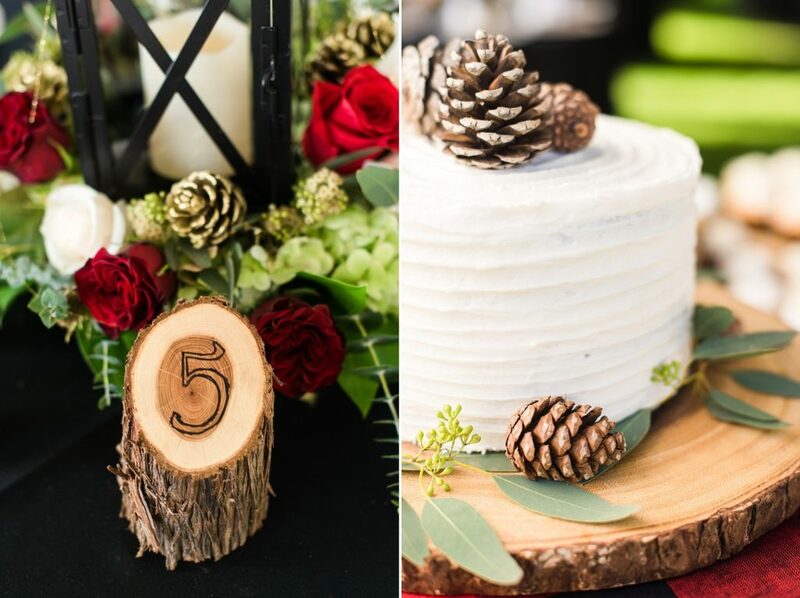 We love everything about Brenna’s lumberjack chic Arizona wedding — from the pine cone centerpieces, to the “plaid you came” puns! 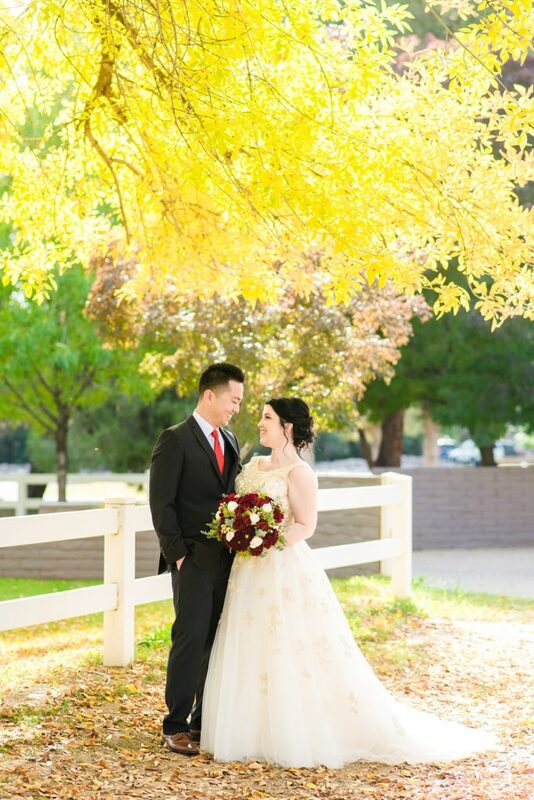 Her stunning gold wedding dress fit perfectly with her theme. 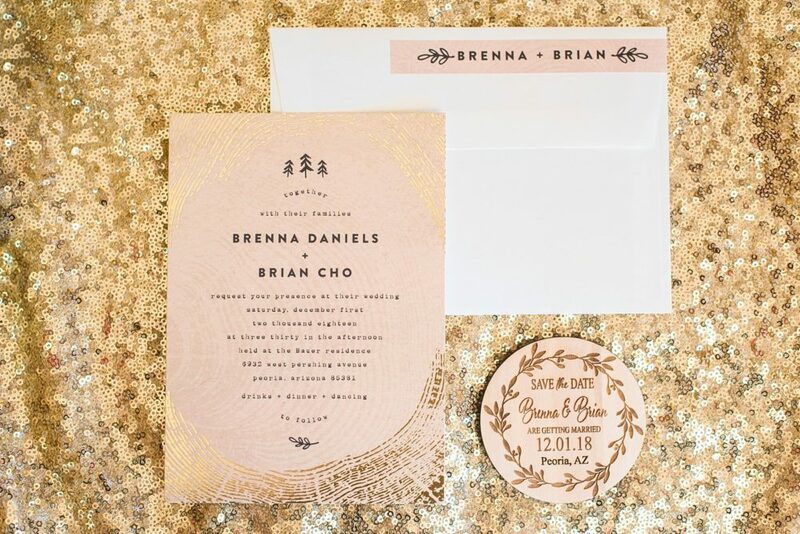 Brenna and Brian tied the knot in December of 2018 in Peoria, Arizona! We’d like to congratulate the lovely newlyweds. We’d also like to thank Brenna for letting us be a part of her special day. 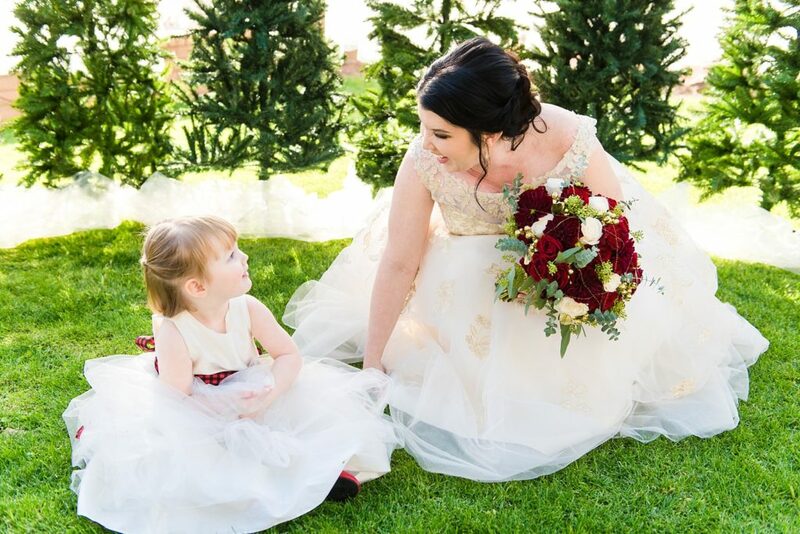 If you’re in love with Brenna’s gold lace applique wedding dress, come check out Strut Bridal Salon’s selection of plus size wedding gowns. Let our expert stylists help you look and feel your best; book your visit today!